Perched up on the Hills above Woodland with a spectacular view up the Lewis River Gorge with Mt. St Helens and Mt. Adams in the background, this house was designed around the view. At our initial meeting the clients had a house plan that they liked but it didn’t take advantage of the view. We took their basic design and transformed it into the home of their dreams. 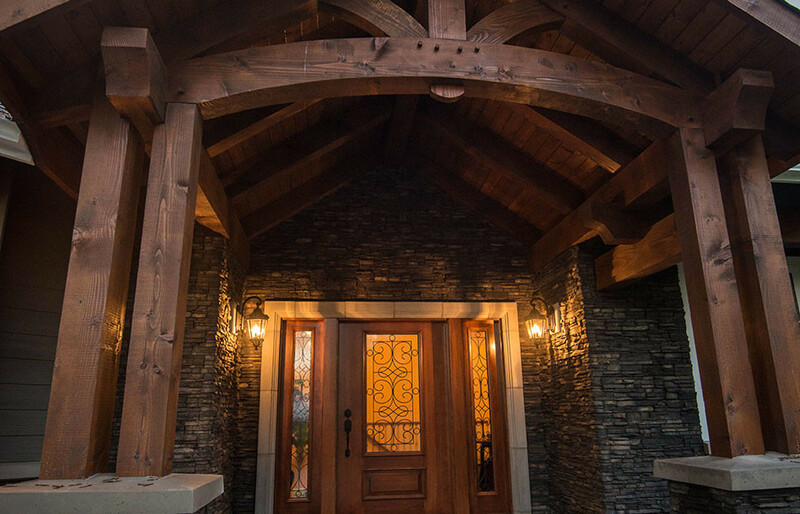 With a spectacular timber framed entry that is complemented with the dark stone and beautiful entry door this home catches your attention from the very beginning. 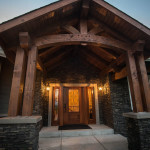 When you enter into the home you are grabbed by the beautiful craftsmanship of the trim carpentry and the awesome view. The most impressive and unique aspect of this home isn’t necessarily any part of the home, but rather how it all came together. Throughout the design, bid, and finance process the clients were out of the country with their jobs. Once construction was underway the clients were back in the states, but were on a job in Colorado. With only one four hour meeting after framing, done onsite, the remainder of the choices and communications took place through email. This was a unique experience and the results speak for themselves. 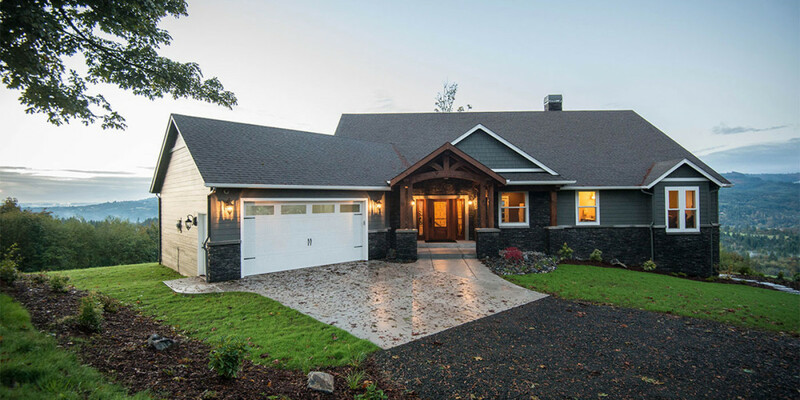 We are an award winning, premiere custom home builder & contractor serving Vancouver, WA; SW Washington; and the Portland Metro area. 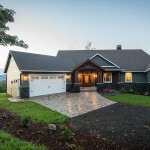 We specialize in custom home building, home remodels, and commercial construction projects. Utilizing our years of construction industry experience, we pride ourselves on providing quality solutions for each of our clients. Can Termites Ruin Your Home?